Filing earnings for the first time in the wake of its listing a month ago on the New York Stock Exchange, the Swedish company said that it lost 41 million euros ($49 million) in the three months through March. The losses were down from 139 million euros in the same quarter a year earlier and figured within the company’s expectations. But Wall Street focused on Spotify’s full-year forecast, which it did not adjust despite the rapid growth of music streaming worldwide. After a robust debut on the market last month, Spotify share prices tumbled in after-hours trade Wednesday. Spotify was down eight percent two hours after its earnings announcement, up from initial lows. 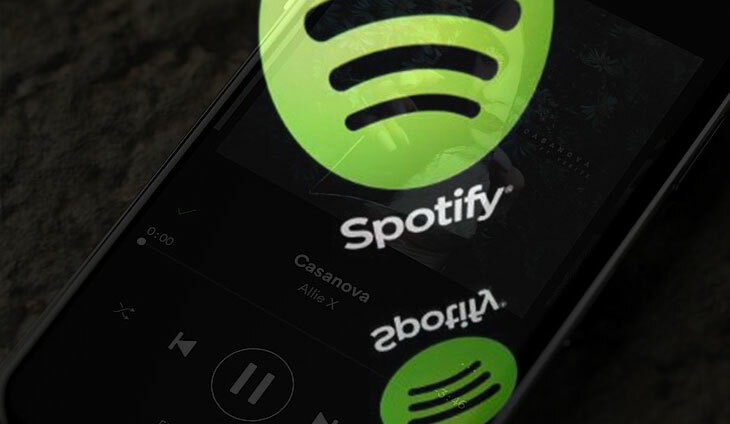 Spotify CEO and co-founder Daniel Ek said that the company saw continuous growth in streaming and that he was not worried by competition from Apple. “We don’t see any kind of meaningful impact of competition,” Ek told reporters and analysts on a telephone call. Spotify said it also was seeing “increasing momentum” in Japan — the world’s second largest music market where CDs still dominate. Ek described Japan as an “S-curve” with slow initial traction followed by rapid growth and then quick maturation. Barry McCarthy, Spotify’s chief financial officer, said that advertising revenues rose at a healthy pace except on desktop computers. He said that the United States was “far and away” the most profitable advertising market. With the latest data Spotify remains well ahead of Apple Music. The technology giant said in March that it had 38 million subscribers on its service, which was launched in 2015 and does not have an equivalent free tier. Streaming — which offers unlimited music online — has rapidly transformed the music industry in recent years, leading to three straight years of growth for the recorded music business.